What is Proactive Tiny Tigers? 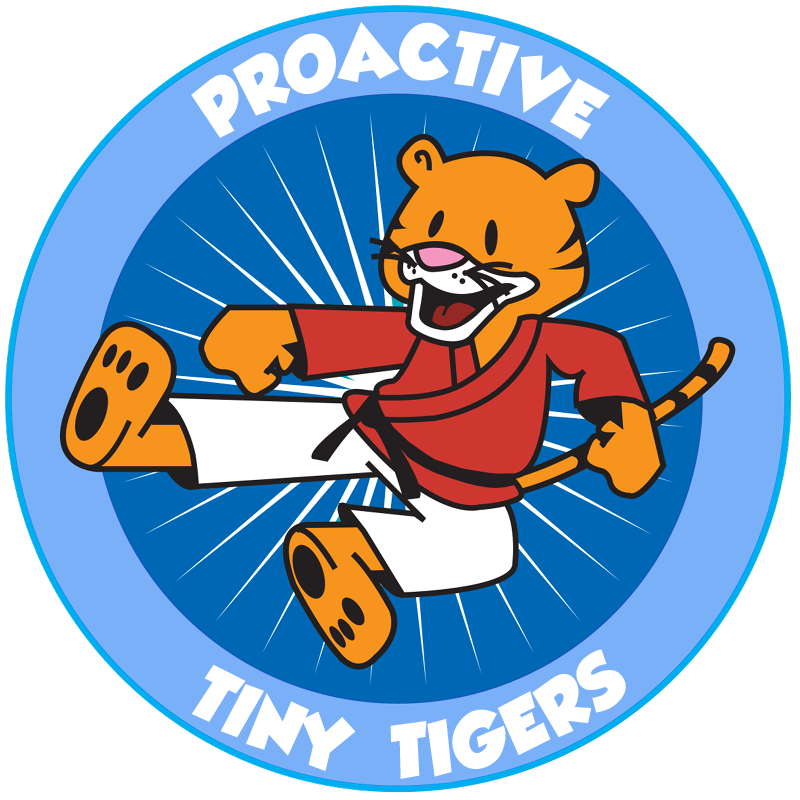 Proactive Tiny Tigers is a fun introduction to beginner martial arts for preschoolers ages 3 to 4. Skills, drills, and games teach important values like self-control, focus, confidence, self-esteem, assertiveness, teamwork, manners, respect and a positive attitude. This programme has been created especially for kids and is designed to help each child grow and equip them with skills that will help them in school, around the house, with friends and in situations where they may have to stand up for themselves. What else will they learn? At Proactive Tiny Tigers your child will learn martial arts based activities in a fun, active and safe environment. We cater to each child’s individual abilities using skill based games, listening techniques and incentive rewards. We believe in success for every child. Every child can excel in this program, which is important as it develops confidence and self esteem through an earned sense of accomplishment. All the classes are broken into smaller sections. This allows children to grasp every component. Their confidence increases each time something new is learned. In addition, your child will earn coloured stripes on their belts, recognizing attendance and achievement. All of our confidence-building exercises help to develop hand-eye coordination and motor skills. Through our philosophy of positive reinforcement, and the interaction with instructors and children, your child will develop the security and confidence to accept separation from you, be more focused and attentive, and ready for the upcoming road ahead in school. Unlike other children’s activities, Proactive’s Tigers get a perfect blend of fun and learning. We provide a one-of-a-kind choice for parents who wish to make sure that their child’s future is one filled with confidence and success, as well as an exciting and healthy adventure along the way.